Lets them be ready to sail the ocean blue in 1492! This historical costume is perfect to portray Columbus or any other character from the 15th century! With a puffy cap sleeved coat and brilliant blue tunic combination (a look that was all the rage in Chris Columbus's time!) any child will be able to effortlessly slip back in history. And since the jacket/tunic/undershirt is a one piece combination, it's comfortable and super easy to wear. All polyester construction, and Velcro tab closures means your little one is going to be able to prepare for their school play or Halloween adventure with comfort and ease. 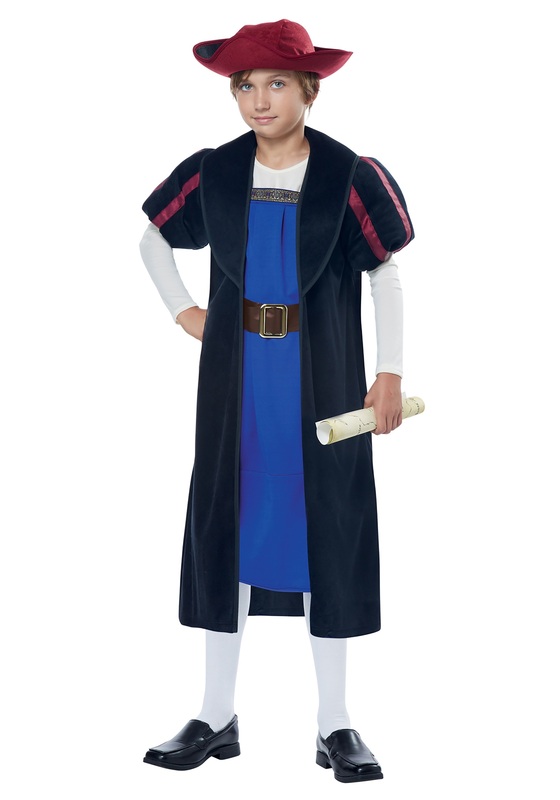 Get this detailed costume to let any little one prepare to sail the ocean blue!